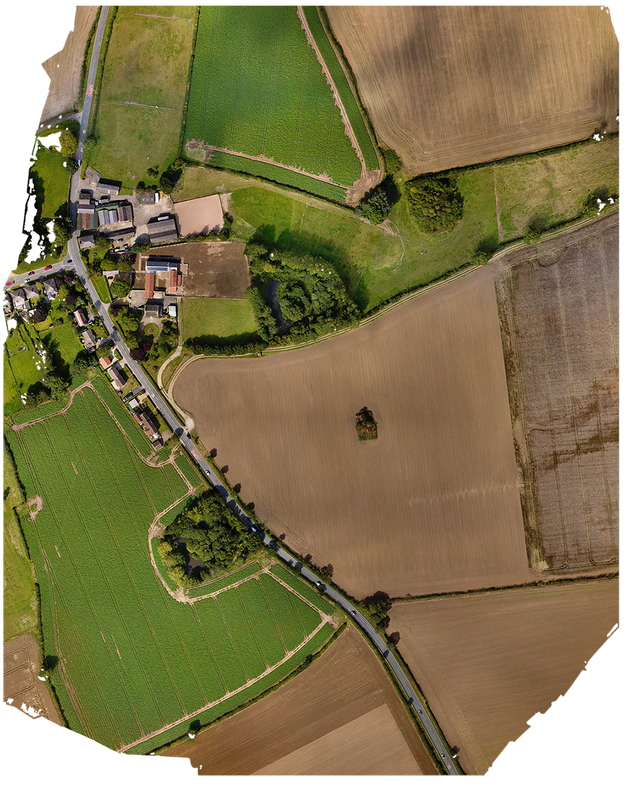 Little is known about the history of North Deightons rather obscured medieval motte and bailey castle: so little is known that some locals believe the motte to be associated with the battle of Marston Moor, some 4 miles away! However the castle is typical of its type with a pronounced motte and associated earthworks defining the bailey. 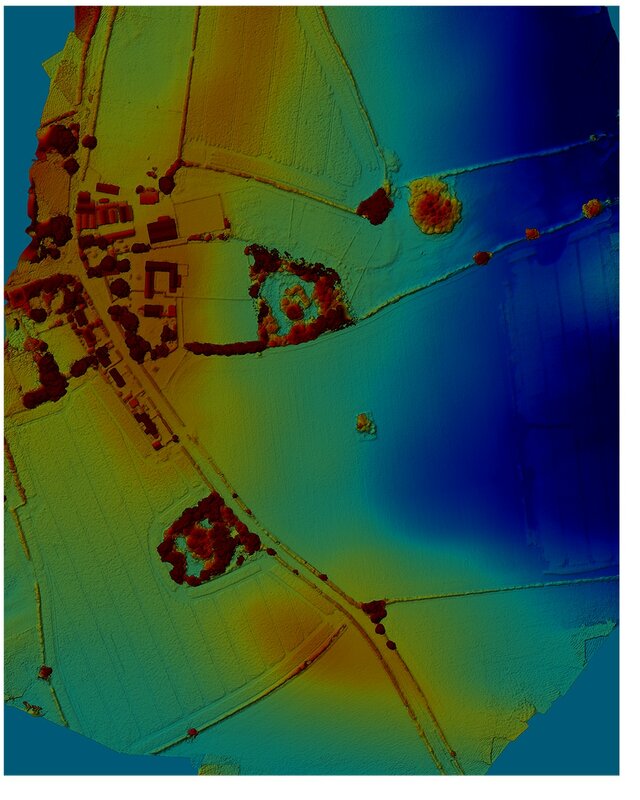 interestingly there appear to be 2 separate and distinct manorial moats or fishponds nearby, clearly shown on the below aerial surveys and apparent on the ground mapping results.